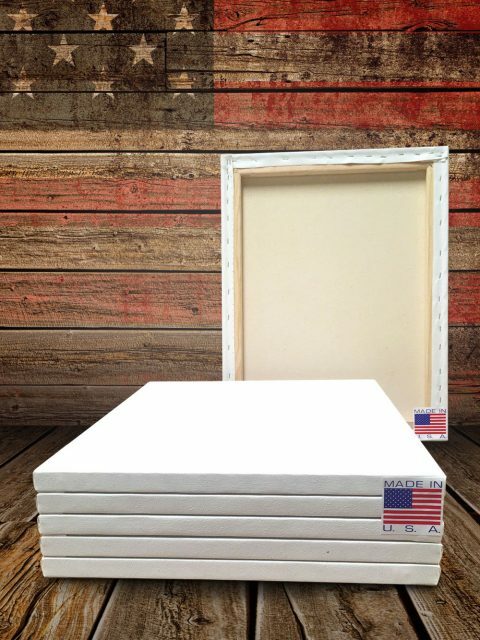 Since your canvases are hand crafted, please allow 1-2 days for your order to ship. You will be notified via email when your order ships. Domestic Orders are shipped via UPS Ground. The delivery time is roughly 2-5 business days but it may vary depending on your location. A tracking number and delivery confirmation is included. Rush delivery is available for upgrade please call. Please make sure you provide your correct address where you want the package sent. 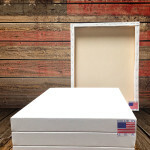 Artist Brand Canvas does not take responsibility for replacing items that were sent to an incorrect address. If the package is returned due to a non- deliverable address, the customer will be responsible for the returned shipping cost and a 15% restocking fee. Please contact for all shipping inquiries: info@artistbrandcanvas.com or please call (888)579-2704. Because shipping multiple packs can be tricky, it may just be easier to talk one-on-one for discounted shipping options. We stand behind the quality of our products, so please do not hesitate to contact us if you have any concerns. We will do everything possible to make sure you are completely satisfied. Please contact us at (888)579-2704 or info@artistbrandcanvas.com if you have any questions about returning your item. If for any reason you are not completely satisfied with your purchase, you may return it within 15 days of your order date. Merchandise must be in its original condition and packaging, accompanied by the original invoice/receipt. Merchandise that was used or painted on will not be accepted for return. Refunds will be made promptly upon receipt of the merchandise, although it may take one to two billing cycles for a refund to appear on your credit card statement. Your refund will be processed to the same credit card used to make your purchase. There will be a 5% transaction fee + shipping fee deducted from the original selling price. Artist Brand Canvas is not responsible for any loss or damage caused to the merchandise during return shipping. You MUST also contact Artist Brand Canvas for a return UPS "call-tag" to be sent to you. Prices are subject to change without notice. @Copyright Artist Brand Canvas 2015. All Rights Reserved.